Come join us for a celebration of Latinx Heritage at San Mateo County Libraries! Up until mid-November we'll be hosting several events. Latinx Heritage Month is celebrated between September 15 and October 15. It was initially created to honor the various Independence Day dates of many Latin American countries including, but not limited to, Mexico, El Salvador, Guatemala, Costa Rica, and Chile. Nowadays this special time is used to honor all Latinx countries in North, Central, and South America. The San Francisco Bay Area has a rich and diverse history of Latinx heritage dating from early California Spanish settlement, the American labor movement efforts of Cesar Chavez and Dolores Huerta, to today’s modern artistic influences such as Los Rakasopens a new window, Santana, and Isabel Allende. As such, we are proud to honor this rich Latinx history by offering special musical performances, art programs, film screenings, loteria games and even a low rider car show. Come join us this month and immerse yourself in a little bit Latinx sabor at San Mateo County Libraries. We at San Mateo County Libraries pride ourselves in promoting inclusivity and safe spaces for all patrons. Latinx has become an inclusive term in modern day lexicon to refer to all those who consider themselves Latinos, Latinas, or gender expansive Latin Americans. How do you pronounce Latinx? I personally pronounce it as la-teen-ex or la-ten-ex depending on my mood on a particular day, and either way is perfectly acceptable. 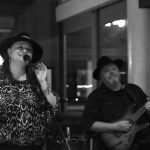 Artemisa Flores Torres on vocals and Manuel Trujillo Correa on guitar and vocals will provide a mix of romantic amazing Mexican music from 1900 to 1950. You can view a list of dates and times on our events page. Experience Michelle Pollace's love of melody and affinity for well-structured compositions. 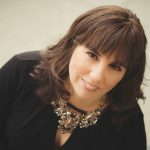 Her arrangements of jazz, Brazilian, and Afro-Cuban standards are original, and her own compositions honor the roots of the music while adding a new voice. 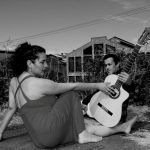 Bay Area Musicians Mimi Hope and Daniel Tuchmann perform classic boleros, Canto Nuevo, Spanish and American music through a Latin lens. Join us for an afternoon of Spanish music. 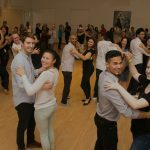 Learn to salsa dance at the Library! Instructors from Rueda con Ritmo, a local community of Cuban Salsa dancers, will join us for this special class. People of all skill levels and backgrounds are welcome to attend! Presents the exciting rhythms of Cuba with rich jazz harmonic compositions. 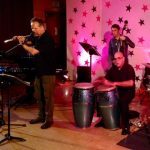 Winner of three Detroit Music Awards, PKO recording artists Tumbao Bravo’s recordings have been nationally featured on NPR. Mambo, cha cha cha, rumba and bolero are performed with congas, drum kit, keyboard and bass lead by Paul VornHagen on sax, flute, piccolo and Latin percussion. Come learn about these customized vehicles that are generally individually painted with intricate, colorful designs, rolling on wire-spoke wheels with whitewall tires. 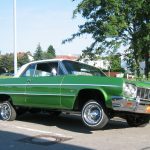 Usually also fitted with hydraulic or air bag systems that allow the vehicle to be raised or lowered at the owner's command. These Walls Speak directed by Carla Wojczuk examines the politics of place, community resistance, counter-history, and expression of identity through the early community mural arts movement in San Francisco's Mission District. Carla will answer questions after the screening and Anabelle Bolanos will share her experience. 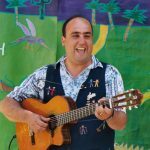 Juan L. Sanchez will delight us with songs, and oral storytelling from all across Latin America. His performances are always a musical journey that take us through multiple generations and cultures. Cascada de Flores is a musical trio that brings music, dance, and storytelling alive in the library! 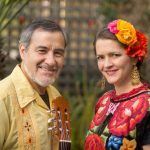 They will be performing "The Tree and the Donkey Who Love to Sing", a bilingual story that is exploding with song, ancient musical instruments, and sweet characters of Mexican music and dance. Children and families will be invited to sing, dance, and play with the beautiful traditional songs and dances. 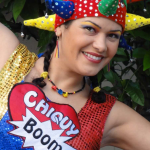 Join us for a special silly magic show by Venezuelan artist Chiquy Boom! There is nothing quite like her energy and performance. Join us and be energized with laughter and joy. 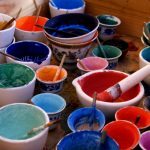 Join us at the library for "Fresco Painting" as we learn to make our own frescos that reflect our communities, ourselves, or what is in our hearts! 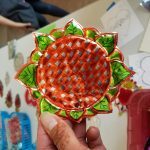 Come and learn how to make revolutionary art with us! 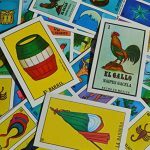 Try your luck with the Bingo-like game Loteria! A dealer will draw illustrated cards and each player will try their luck in filling up their board. Prizes will be given to winners, as well as participators. Bring your own beans as Loteria is traditionally played with beans or pennies to mark squares that have been called. Join us for specially themed Latinx storytimes with special arts and crafts activities to follow! Join us for a fun gathering as we taste different brands of salsa and decide which ones are our personal favorites! Do you enjoy making salsa and think yours will stand up to competition? The Belmont Library will host a celebration with music, food, activities and games that represent the Latinx culture. Come celebrate and learn about the Latin American culture with our community. How will you celebrate Latinx? Let us know below!